In the past month or so, we’ve had some unseasonably sunny and warm weather here on the West coast. While the dryness and warmth is sligthly unnerving, I look at what’s happening with the weather in other parts of the world and I feel fortunate. We may be having a record-breaking dry spell, but the sunny skies and hospitable temperatures are definitely favorable to tornadoes, typhoons and snowfall. I’m sure you all can agree. My husband’s birthday came around a few weeks ago, which happened to fall on the Thanksgiving holiday weekend. He had some time off, and his birthday wish was to go to as many beautiful places as we could. My mom had been posting some gorgeous photos she’d taken in Point Lobos the previous weekend, so I scooped him up and dragged him all the way down to Point Lobos State Reserve, just past Monterey on Highway 1. It was the middle of the day when we decided to head down there, which meant that we would make it just in time for sunset. Point Lobos is a little swath of marine biodiversity just south of the hustle & bustle of Carmel-by-the-Sea, a popular tourist destination about 2 hours south of San Francisco. 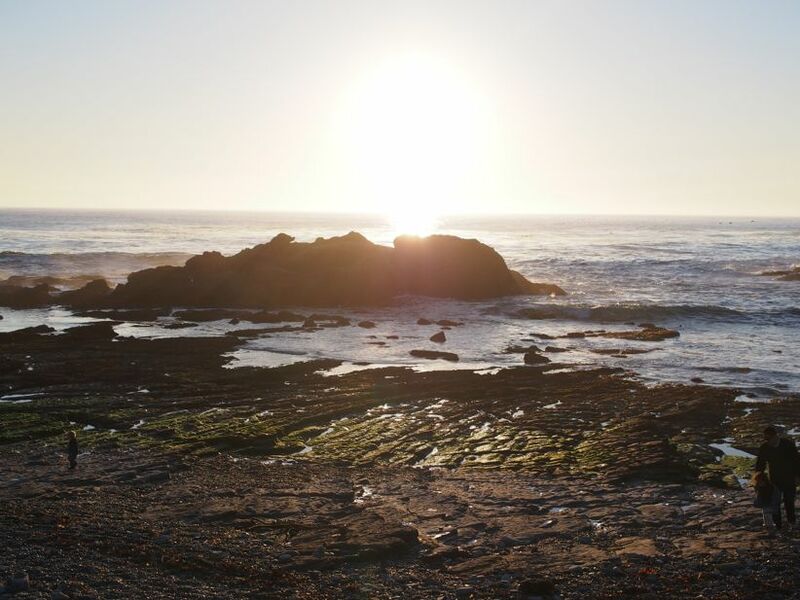 Point Lobos has gained the protection of the state of California for plenty of good reasons: It’s a habitat for many endangered plants and animals, and it’s considered to be one of the richest marine ecosystems in California. 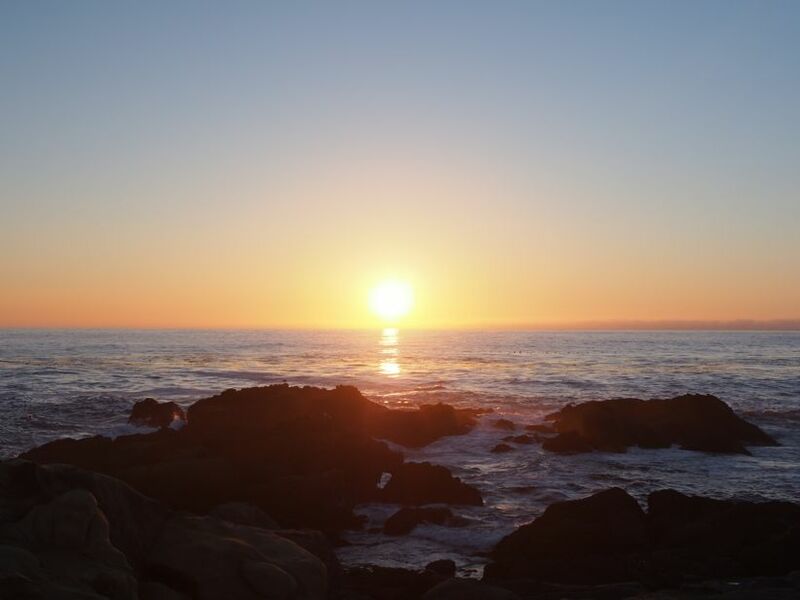 You will spot sea otters, harbor seals, whales, brown pelicans mid-migration, sea urchins, deer, and many other wild friends. 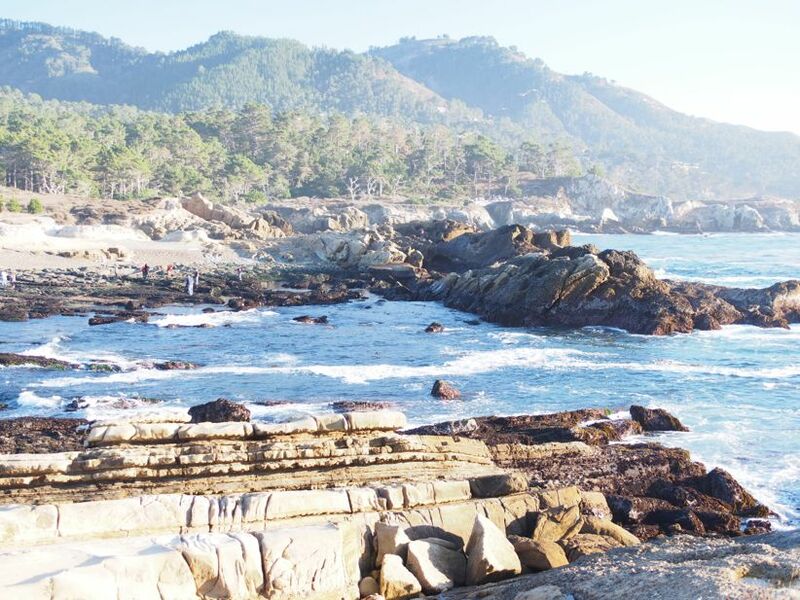 Point Lobos is considered the crown jewel of California’s state park system, and it’s not hard to see why. I have many childhood memories of this place, and I can remember being in awe of all the various little creatures in the tidal pools. 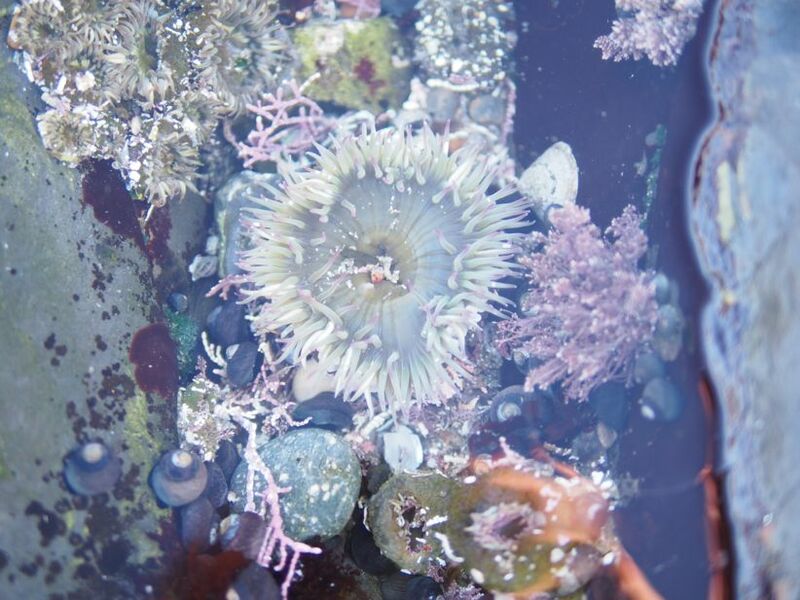 Hermit crabs, sea urchins, sea stars, and all manners of seaweed can be found in these pools. This is a great place to take your kids to teach them about marine life (but leave the dog-friend at home – they aren’t allowed here). It’s also a photographer’s dream – the Husband and I both brought our cameras and spent the whole afternoon taking beautiful photos to share with you. One thing he and I have in common is our love of photography. 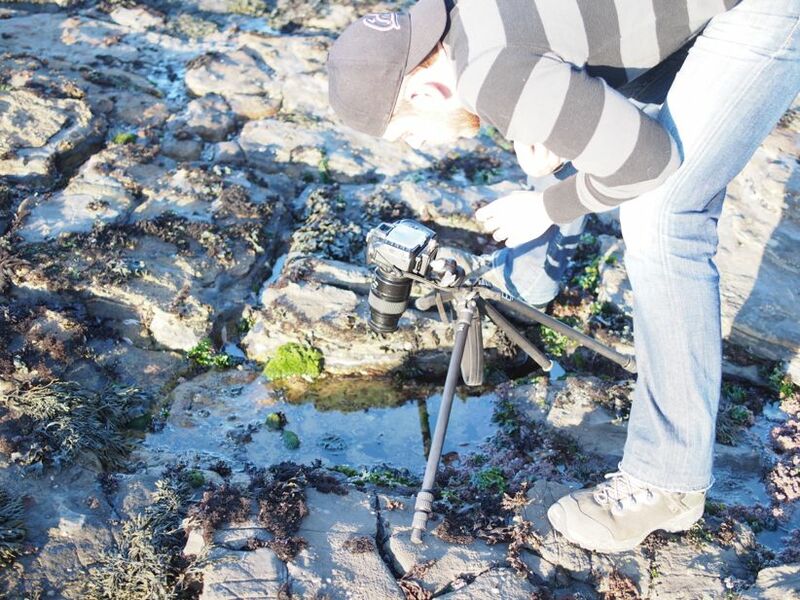 I gifted him with a carbon fiber tripod for his birthday, and we wanted to put it to good use. With his new gear, he found many opportunities to capture his birthday moments. We got tons of photos of little sea creatures, interesting rock formations, ocean waves, and migrating birds. Once the sun was getting low, we packed up and started walking back to where we started from. Right as we arrived at our starting point, the sun began to set and we stopped to get a few more photos before we had to go (the park closes promptly 30 minutes after sunset). 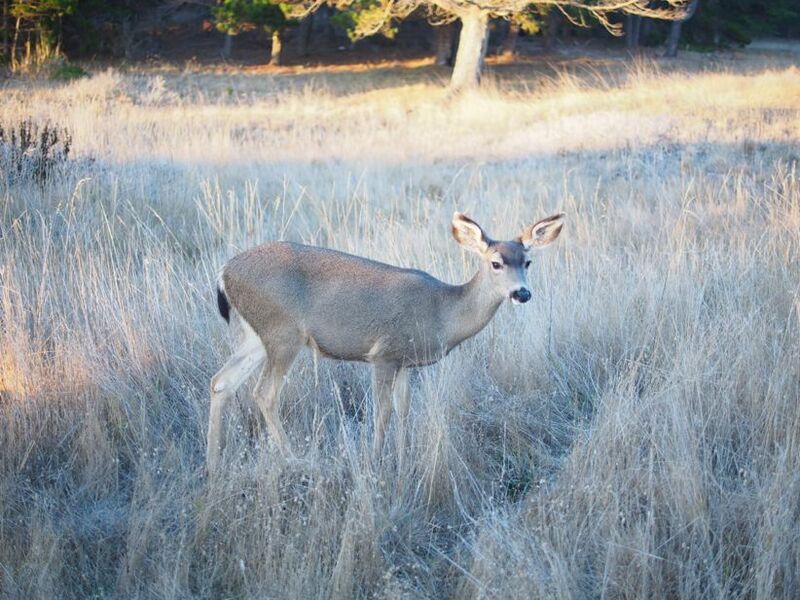 On our walk back to the parking lot, we encountered some VERY friendly deer, who hammed it up for the camera. If you find yourself with an itch to get in the car and go somewhere beautiful, Point Lobos is an excellent destination. You could even take the long route, heading all the way down Highway 1 from San Francisco to Santa Cruz. Check out this blog post for some sightseeing destinations along the “Slow Coast”. Be sure to bring sunscreen, a sandwich, some water, cash for parking, and your camera. You won’t be disappointed! 8:00am to 1/2 hour after sunset.